Celergen is a potent nutritional treatment that stimulates the human body’s natural healing powers. 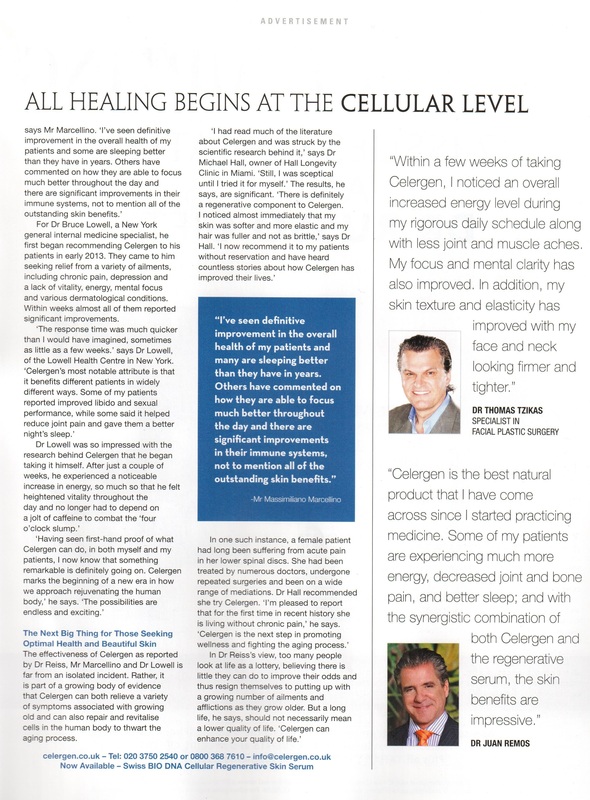 Celergen triggers the repair and rejuvenation of individual cells. One of its key ingredients is a proprietary Cellular Marine Complex. This complex is extracted from the DNA of deep-sea, pollution-free marine life, which has powerful anti-aging properties.